Everyone should see the dentist about twice a year. This advice applies to people of all ages regardless of the state of their current dental health. There are many individuals out there who believe that the only time they really need to see a dentist, or any other health practitioner for that matter, is an event of an emergency or if they develop any symptoms. This is certainly a great reason to see a dentist or doctor of any kind, but these emergency occurrences may actually be limited if you see your dentist more often. Here at TruCare Dental how are Rio Rancho Dental Dental dentist can provide people of all ages with the general dental care that they need will also accepting Dental Dental insurance so that paying for your dental care is that much easier. The reason why most people put off dental visits for emergencies and other occurrences is because they think it will save the money. 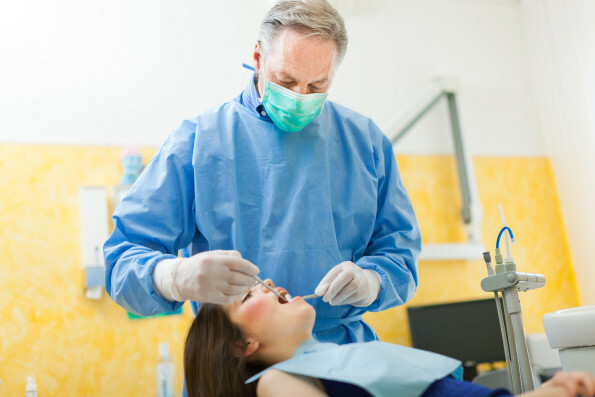 Many individuals believe that senior dentist on a routine basis is not necessarily worth it. This is not true. I think your dentist at least twice a year for routine exams and cleanings, you can help make sure that your teeth and gums are as healthy as they can be. These visits are central when it comes to providing you with preventative dental care, which can help identify or even prevents the likelihood of developing tooth decay or gum disease. If you happen to have any early signs of either condition, one of our dentist will be able to provide you with the treatment that you need before anything drastic is needed. Additionally, senior dentist regularly can prevent this sort of thing from occurring in the first place. Here at TruCare Dental, our Rio Rancho Dental Dental dentist can easily provide you and everyone else in your family with a comprehensive dental care that they need. Whether you need a routine dental cleaning or even if you require a dental filling, tooth extraction, or even something more severe, our dentist can easily provide that service for you also accepting Delta Dental insurance which can make payments even easier than you ever imagined. Insurance can certainly help when it comes to getting routine care but it can also help you pay off more intensive dental work that you might need done as well. 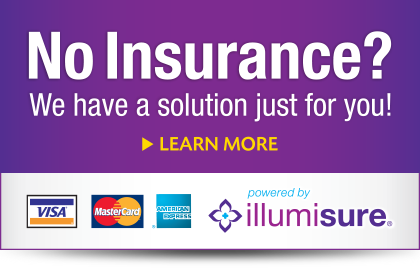 With insurance, you can easily take care of yourself and your family much easier, and you can rest easier at night knowing that your family is properly taken care of at an affordable price. If you happen to be in the market for a Rio Rancho Dental Dental dentist then we here at TruCare Dental can provide you with absolutely everything that you and your family need to maintain and improve your oral health and hygiene. Are you doing all that you can to start your child off on the right path when it comes to her oral health and hygiene? Here at TruCare Dental, our Albuquerque pediatric dentist offers a number of supplementary preventative services that can save your child from the pain and difficulty of common dental health issues like tooth decay, while also saving you the money and hassle of treating such problems. One of the most popular services of this kind is the use of dental sealants. Dental sealants are thin plastic coatings that our Albuquerque pediatric dentist can put in place over your child’s adult molars as they begin to erupt. The coatings protect these first adult teeth from decay for several years at a time. We all know that children are highly prone to cavities, whether it is because they have a sweet tooth, they do not like to brush their teeth and floss, or other similar reasons. With dental sealants, you are being proactive by acknowledging the risk of decay and keeping your child’s teeth safe from it. In doing so, you are helping you and your child—saving you money in the long run, and beginning your child’s adult dental life with the first few adult teeth being as healthy as possible. The sealants are usually not visible when your child smiles or opens her mouth, so there are no cosmetic issues that come into play with this amazing preventative procedure. Our Albuquerque pediatric dentist would be happy to make more personalized preventative recommendations for your child during your next visit here at TruCare Dental. To learn more about dental sealants or any of the other helpful services provided by our expert Albuquerque pediatric dentist, we invite you to browse through all of the additional information available on the main TruCare Dental website. Should you have any lingering questions or concerns, please feel free to contact our staff for assistance. You can reach us either by giving us a call at the TruCare Dental office directly, or you can also send us a message online using the e-mail address listed on our main website. We look forward to working with you soon here at TruCare Dental.